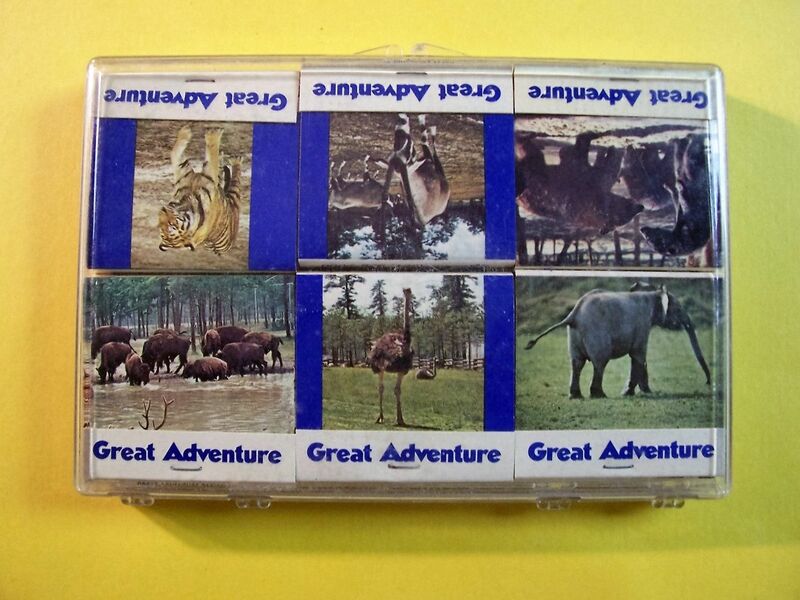 In the mid 70s the park sold a thin plastic case containing a set of regular size matchbooks each with a different Safari animal on them. I believe the set consisted of about 10 or 12 matchbooks in all. I've seen one or two matchbooks available every so often but haven't seen the set in years. If you have a set and are interested in trading, I have a wide variety of items available. Thanks. While I am still on the lookout for a complete set of Great Adventure matchbooks, so far I have been able to collect 11 of the 12 matchbook covers. If anyone has a set or the missing matchbook (#10), please let me know. I have added scans of the matches to the GAH Historical Gallery including the inside covers, but here are the animals I have collected so far. I was finally able to acquire a set of complete matchbooks in a plastic container. As suspected, there were 12 matchbooks. 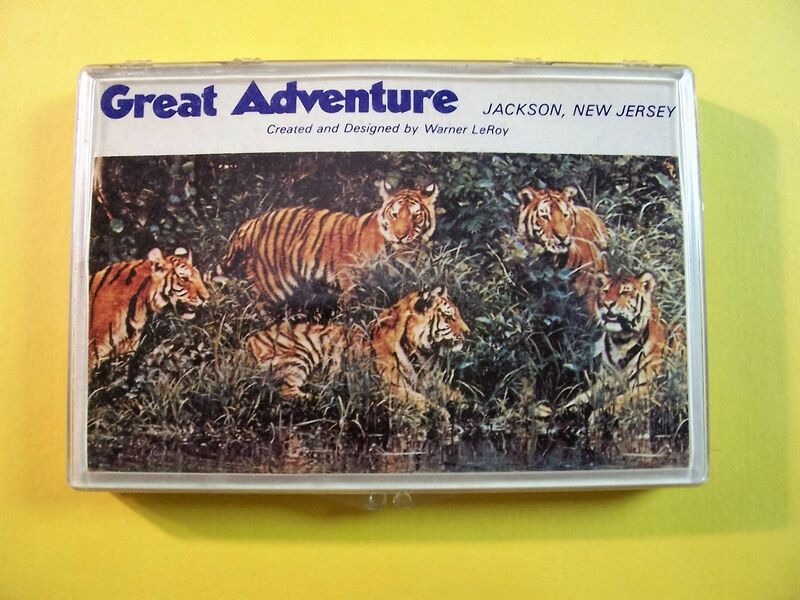 Missing matchbook #10 (above) featured zebras. 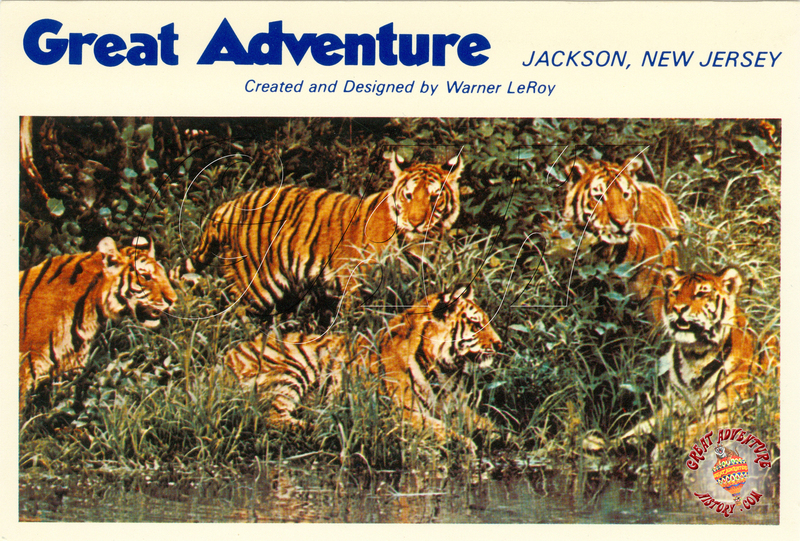 In addition to the matchbooks, the set also included a postcard like the one below. That explains why this postcard was unique and not part of a set like others issued through the years. Makes sense now as the style of this card is similar to the matches.